I have to admit, I love to look like a glazed donut, though I wish my skin color was a bit deeper than it is. 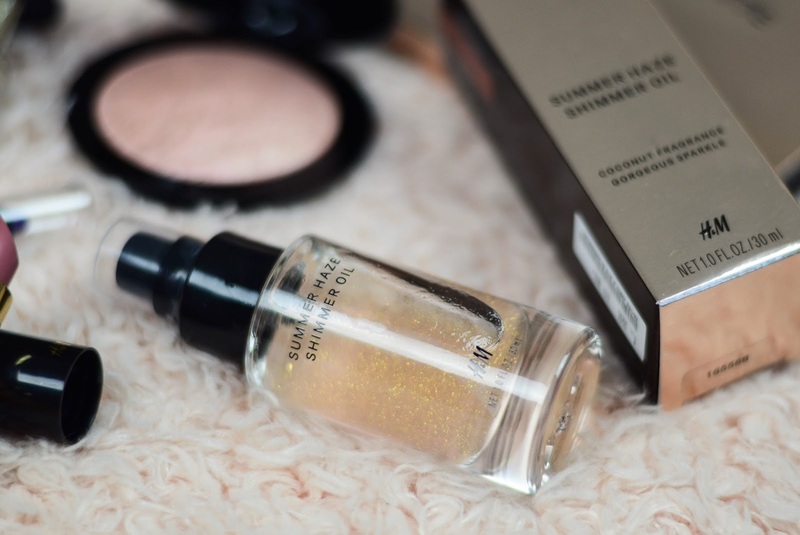 So when I saw this Shimmer Oil, I thought it would look really chick-y deeky sprayed on the shoulders, collarbone and arms. It says that it has a coconut fragrance, but I don't really agree, it's sweet, but not like a coconut. Ahh I know what it reminds me of - the smell of self-tan. So far I have tested it out only on the hand, so I don't know how will it be on the rest of the body, but it looks really lovely and I would even say, pretty settle. I'm definitely going over with a highlight on the high points of the decollete. 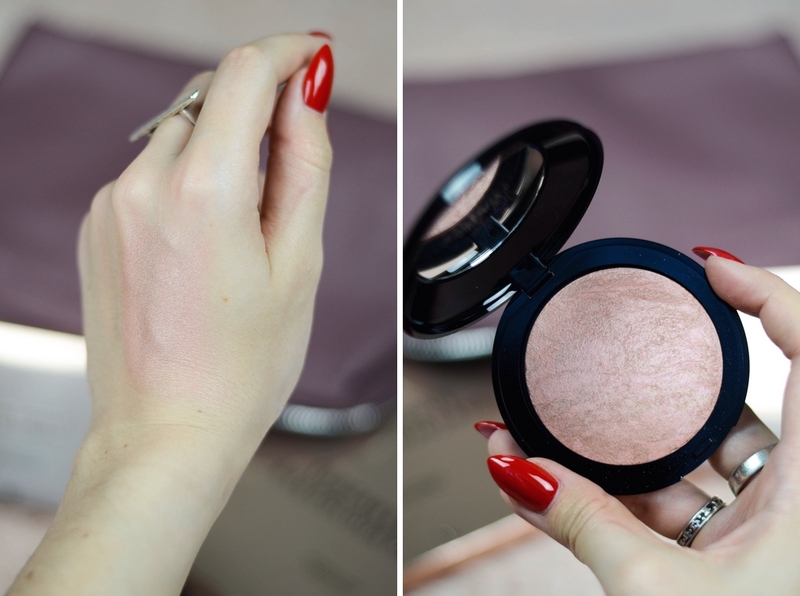 Now this one is an absolutely gorgeous, soft pink highlighter. It blends out beautifully. It is not exactly blinding, but it has enough pigment, that you don't have to put a lot of it on for it to show up. You can easily use it on it's own or as a highlight/blush topper. I'm also considering playing with it on the eyelids, probably for the last day when I won't really want to put a lot on the eyes, just a little bit of sheen. 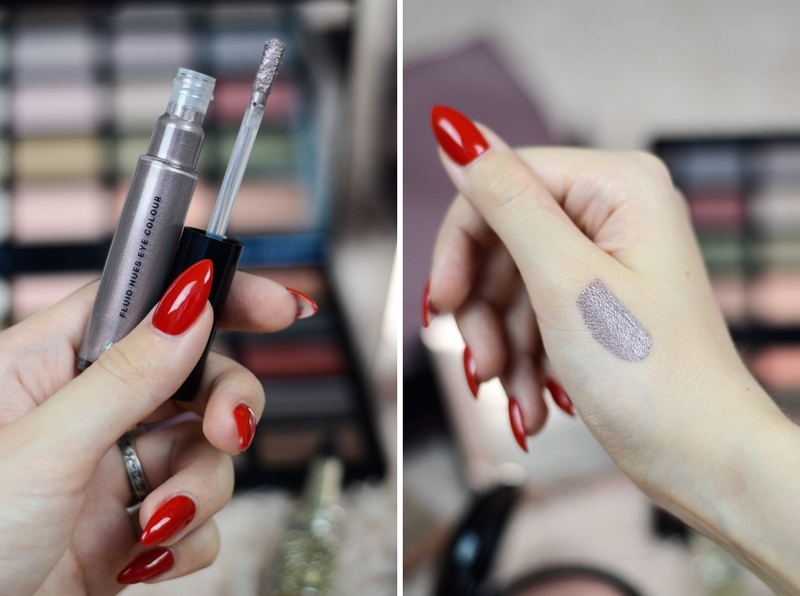 I love me some liquid eyeshadows. They are so easy to apply and usually hold on for a long time - exactly what you need for a long day at a festival. But with these you have to be careful, because if you put too much in the crease and don't blend them out they will crease. And big time. It's a bummer, because I really love how it looks when it dries down - a soft grey/violet with some gold sparkles. Will have to try it out for a couple of times to see how it works best. For the lips I wanted something long lasting and a shade that would suit many looks. 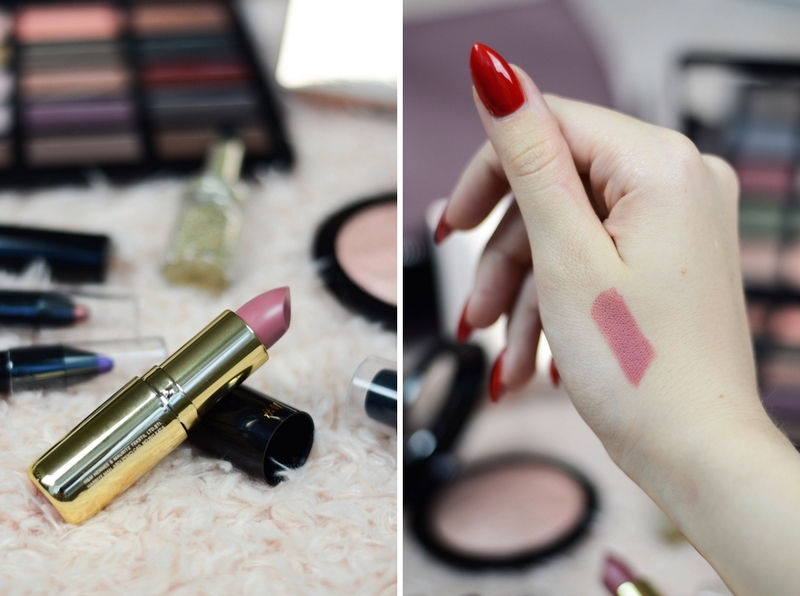 I have quite a big collection of H&M cream lipsticks on my table, but somehow I had never tried their matte lipstick range. One thing is for sure they are really matte. Even when you apply them you can feel how matte they are. You have to rub your lips together for a couple of times for it to kind of warm up, so it would be easier to distribute. Though they do feel very comfortable on the lips. Not exactly like you can't feel that you have something on, but definitely not drying. Comfortable. But I highly suggest to exfoliate your lips before applying the lipstick. Also, a little bit of lip balm wouldn't hurt. These I decided to pick up for that pop of color. Because I have green eyes I always try to enhance them either with some orange or violet. 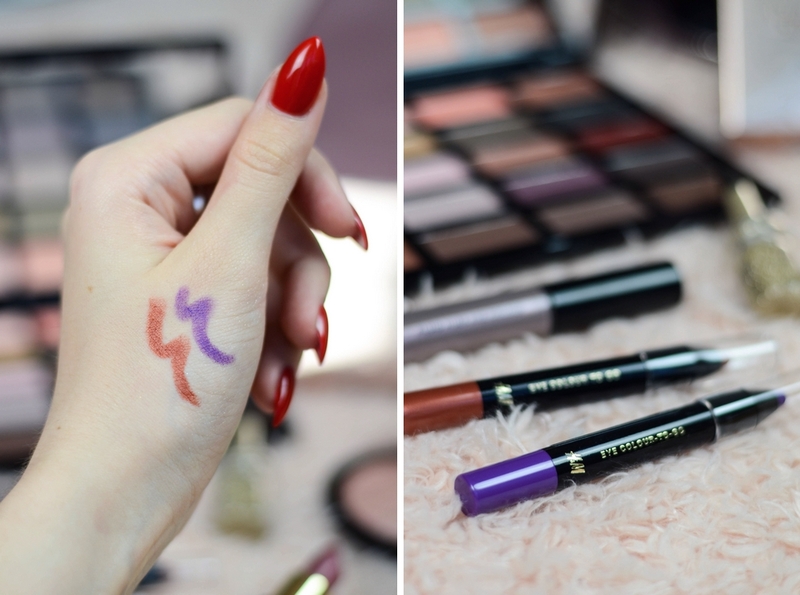 They work great not only on the top lash line or under the bottom lash line, but also sometimes I like to use them as an eye shadow base if I'm doing a look with similar or exact shades, because they are really pigmented and hold eye shadows on my eyes really well. When I saw this palette on the shelf I geeked out. 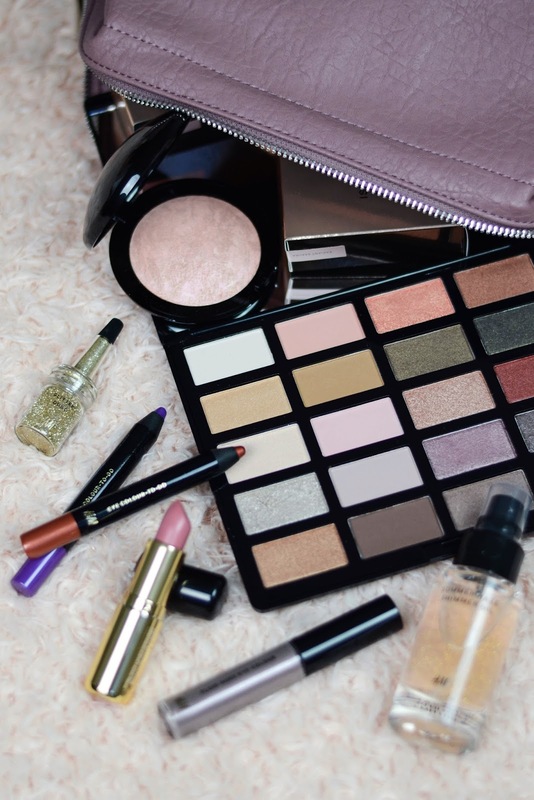 I don't know what it is with me and eye shadow palettes, but every time I see one I have to get it. You don't even want to know how many I have hoarded. 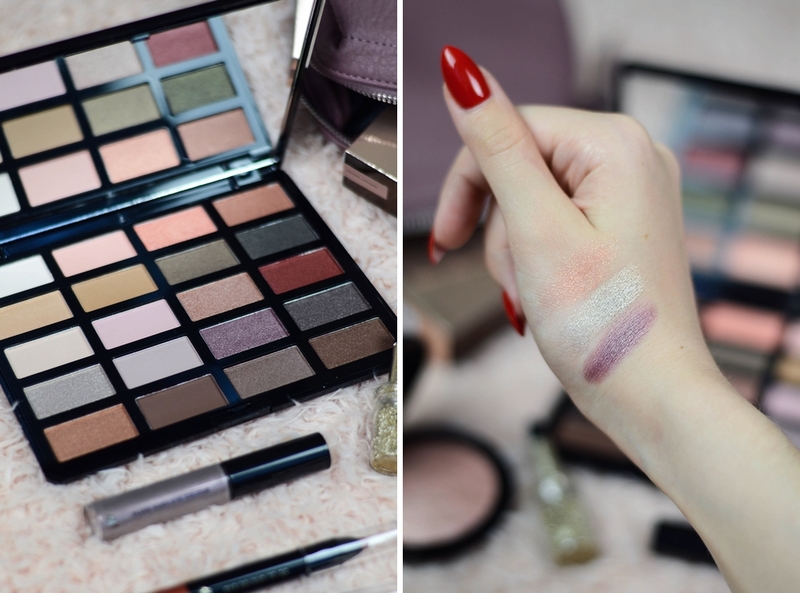 This palette has matte, metallic, shimmery and glittery shades, in total 20 gorgeous tones with tons of options and variations. 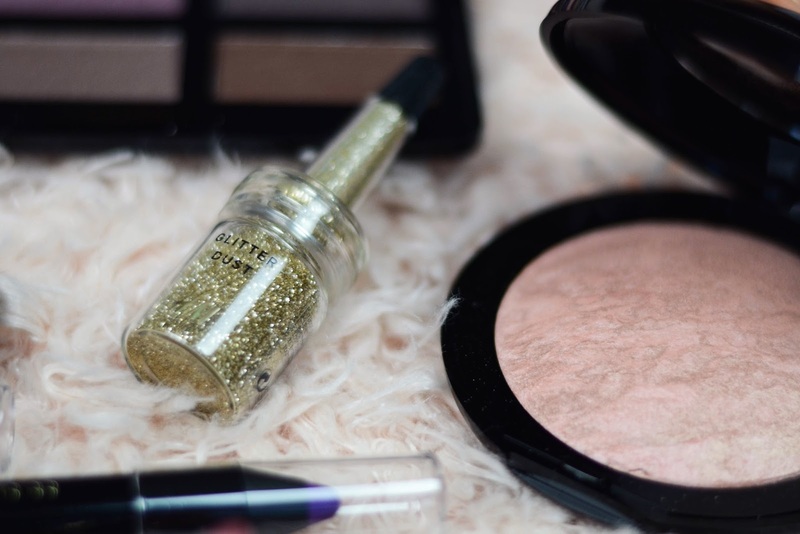 For the glittery ones you will definitely need an eye shadow primer and possibly the best application will be with a wet brush. The metallic ones are just as good as their single eye shadows. The matte shades I still have to test. But one of it's best features that I actually noticed only when I got home is the mirror. It's big. Which is perfect, because you can see your whole face in it. Honestly I don't even know what I'm the most excited about - the mirror or the eye shadows! And of course I also need somewhere to keep it all. With this bag it was love at first sight. It's not only simply pretty, but it's the perfect size, material and color. It's also sturdy. 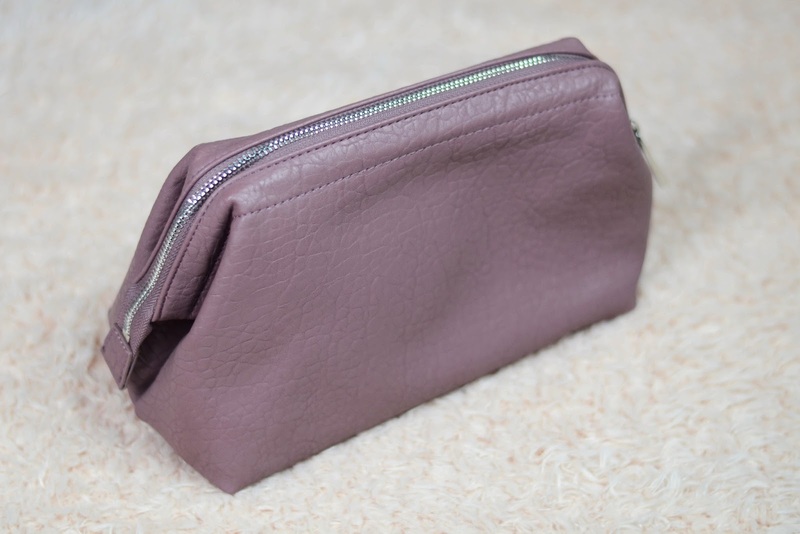 And after one too many makeup bags that have been thrown out, this was exactly what I was looking for! And so this is pretty much it. I'm still yet to decide if I want to fuss with false eyelashes (probably not) and other things. I think that this time I will most likely go for something more on the bold side on one day and then probably something very chill and fuss free for the next two days. *Lai palīdzētu Tev sagatavoties festivālam, sadarbībā ar H&M rīkoju konkursu, vairāk par to šeit. 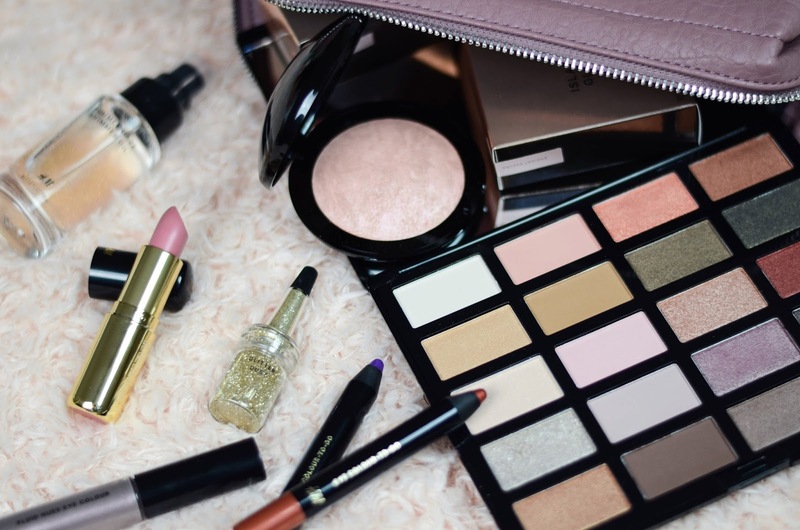 1 comment on "FESTIVAL MAKEUP BAG ESSENTIALS"
Oh wow, I didn't expect the beauty products from H&M to be so good! These products all look and sound amazing.